It amazes me how frequently the same questions keep coming back. All the above questions have one thing in common – an attempt to know the future. It seems the entire business of investment management may be about predicting the future. And the investment expert is a professional forecaster. The fact is, most have failed to correctly predict the future events – even the best of the investors. Let us see some examples and we need not go too far in the past. In the last seven months of the year 2016, the world witnessed three major events taking place in three different parts of the world. First in the month of June, the people of Britain voted for exiting the Eurozone during the referendum, whereas majority had predicted that Britain would remain in the Eurozone. On November 8, while many experts were expecting the US to get the first ever lady President, the result was very different. In both the above cases, while there were only two possibilities, the actual result was exactly opposite of the popular opinion. On the other side of the world, on the same day, November 8th, the currency notes of Rs. 500 and Rs. 1,000 were pulled out of circulation. I am sure nobody had any idea about this. No forecaster could predict such an event happening. Continue further on the US election results, majority of the market experts and economists had expected that a Trump victory would spell disaster for the US. What happened in reality? Post the announcement of election results; the US Dollar has gained against almost all major currencies of the world. Can someone say that the fall of the Dollar was already factored in the price and hence post the victory of Donald Trump, the Dollar only recovered? Well, even that argument does not hold water, since majority was of the view that Hillary Clinton would win the election. There was no question of the unexpected being factored in the price. So, it was not a case of a political forecast gone wrong, but also a market forecast going wrong. The subject of investment management for most retail individual investors is to ensure enough money is available at the time of one’s life’s financial goals. In such a scenario, one must manage the investment risks such that the money becomes available at the time of need. For that purpose, the important thing is to understand what can go wrong and how to protect one’s investments. Forecasting the future is not required. The author runs Karmayog Knowledge Academy. 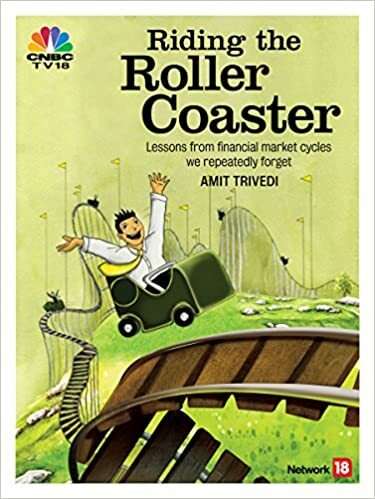 Recently, Amit has authored a book titled “Riding the Roller Coaster – Lessons from Financial Market Cycles We Repeatedly Forget”. The views expressed are his personal opinions. “Unfortunately, it is quite possible to read about Dutchmen thinking that the world had an infinite hunger for tulips, and then go right out and buy some very snazzy computer stock because the world has an infinite hunger for computers.” Wrote Adam Smith in The Money Game. We met Adam Smith in our previous post. He is not the author of The Wealth of Nations, but used “Adam Smith” as his pseudonym. Every market cycle, whenever there is something new, we hear such stories. Overtime there are justifications given for the present valuations by extrapolating the current demand into an infinite future. Read the chapter “On Valuations” in the book “Riding The Roller Coaster – Lessons from financial market cycles we repeatedly forget”. “The four most dangerous words in investing are: ‘this time it’s different’.”: Sir John Templeton said. Every time the justification of current high valuations or even the low valuations comes from such thinking that this time it’s different from whatever happened in the past. After all, in 17th century Holland, when people were chasing tulip bulbs, these were not computers or internet websites. Whatever the logic, we always have a story. We always have a rationalisation. William Bernstein wrote a classic “Four Pillars of Investing”. It is a must read for any student of investments. … a study of previous manias and crashed will give you at least a fighting chance of recognising when asset prices have become absurdly expensive and risky and hewn they have become too depressed and cheap to pass up. … the investor who is unaware of financial history is irretrievably handicapped. Those who are interested in removing this handicap cannot ignore studying the history. Ignore the history at your peril. Learn the lessons and remember those. If required, re-read the book.